Bhopal: The credibility of the electronic voting machine has come under fire as the Voter-verifiable paper audit trail (VVPAT) printed the same “lotus” symbol of the ruling Bharatiya Janata Party after the State Chief electoral officer Salina Singh pressed the button of an electronic voting machine during a trial casting of vote ahead of the coming bye-election to the Ater Assembly constituency in Bhind district. Voter-verifiable paper audit trail (VVPAT) or verifiable paper record (VPR) is the method used for providing feedback of the electronic voting machines. A VVPAT is a verification system for electronic voting machines and is intended to detect possible election fraud or malfunction. It contains the symbol of the party and individual candidate in the electoral fray and is a means to audit the stored electronic results. 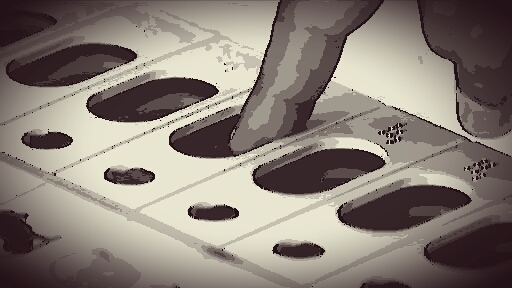 According to available reports, during the dummy voting (trial of the EVM) in question, the BJP symbol was printed by the VVPAT when the fourth button of the EVM was pressed. Again the VVPAT printed the BJP symbol when another button was pressed. But the third time when the first button was pressed, it printed the Congress symbol. When questioned by media-persons, the State CEO lightly brushed aside the query stating “you would be sent to the police station if you publish this.” Later, at a press conference senior Congress leader Govind Singh accused the BJP and said that it will try to win the bye-election by tampering with the EVM.